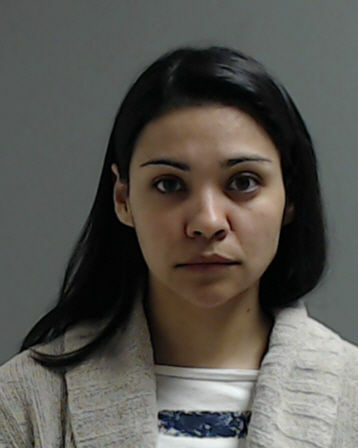 MISSION — A former Sharyland high school teacher was arrested Monday on charges related to an alleged relationship she had with a then 14-year-old student last summer. Vanessa McManness, 31, was arrested on charges of improper relationship between educator and student and indecency with a child. According to her arrest warrant affidavit, McManness first met the teen when he was in the seventh grade at Sharyland North Middle School, where she was employed before being transferred to Sharyland Pioneer High School in summer 2017. The relationship began when she provided him with “her Snapchat username to keep in touch with her,” the affidavit states. She allegedly “made out” with the teen on multiple occasions, in addition to inviting him to her house, where she provided him with beer and Malibu rum and inappropriately touched him, according to the complaint. The teen and his mother first reported the relationship to police in January of this year. McManness was arraigned Monday in the McAllen Municipal Court and bond was set at $10,000. She was released from jail on bond Tuesday. Sharyland school district officials confirmed McManness was no longer employed with the district but did not confirm when she was officially terminated. Attempts to reach McManness’ attorney Carlos Ortegon were unsuccessful. If convicted of the second degree felony charges, McManness could face up to 20 years in prison and a fine of up to $10,000. Staff writer Danya Perez-Hernandez contributed to this report.